Vinification : After a total destemmed, the fermentation period is during for about five weeks, at low temperature. Tasting : The robe is elegant, revealing golden highlights. 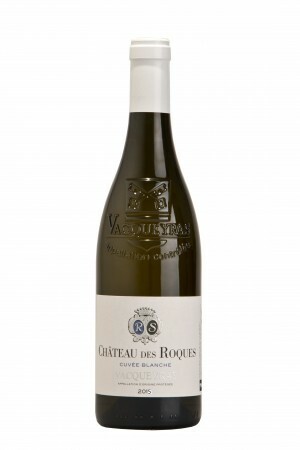 The nose is expressive and frank on white flowers (hawthorn) with citrus notes. On the palate, this wine is ample, with a nice freshness on the grapefruit and lemon taste, followed by a subtle honeyed notes. Consistent and balanced, this structured wine offers a good persistence on its citrus and honey notes. An harmonious and elegant wine. Alliances dishes : Salmon Steak / St. Jacques shells. – Selected by 1001 dégustations with 2 stars.